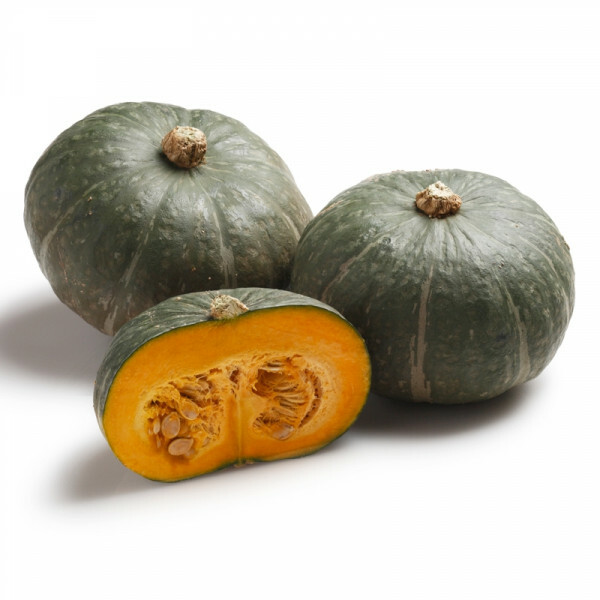 A ribbed silver-grey skin with an orange and quite sweet inside: this variety is good boiled, pureed, or used to make desserts. The bright orange color of the vegetable is a dead giveaway, as pumpkins are loaded with an important antioxidant, beta-carotene. Pumpkin should be refrigerated in a covered container or wrapped in foil or plastic wrap. In the fridge, the pumpkin will typically last 2-4 days. To freeze, cut it up and deseed, cook until soft, remove pulp and mash, cool and place into airtight plastic bags. In the freezer, it can last up to 12 months.